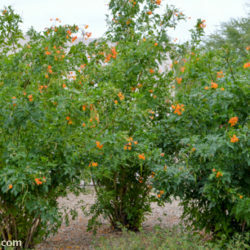 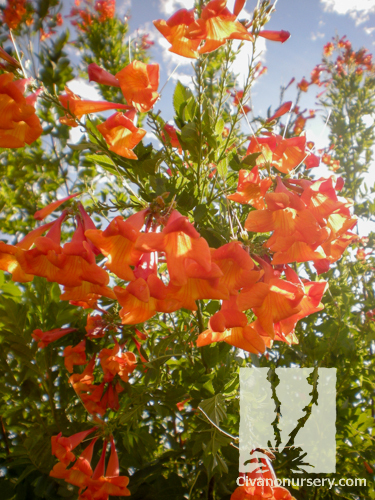 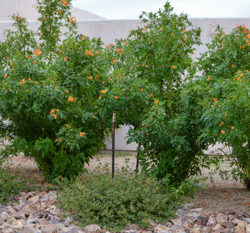 This large, adaptable shrub is a Southwestern favorite, known for its long blooming season, high heat tolerance, fast growth rate, and its talent for adopting a variety of growth habits to accommodate specific landscaping goals. Whether you need a large flowering vine, a small patio tree, a more compact shrub, or just something to bear our intense summer heat while luring in the hummingbirds, ‘Orange Jubilee’ is a perfect fit! 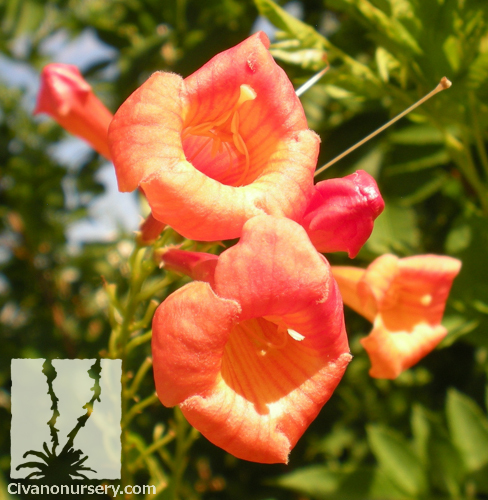 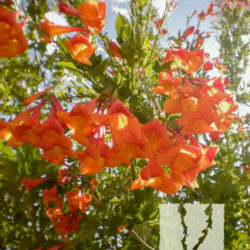 Very few seedpods are produced throughout the year, allowing for continuous production of brilliant orange trumpet-shaped blooms from spring through fall. 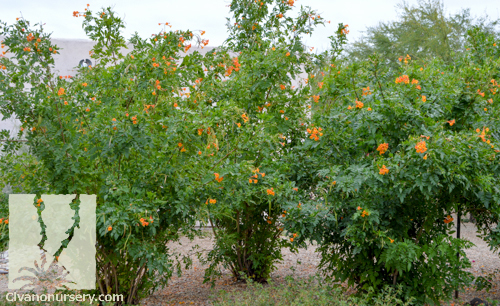 The rich green foliage contrasts beautifully with these clusters of flowers, and provides a luxurious, tropical looking background for garden settings.